The girl runs on a treadmill in the gym, it is reflected in the mirrors. Concept for fitness, exercising and healthy lifestyle. 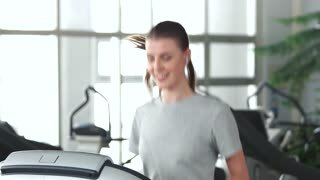 Woman running on a treadmill in a fitness club. 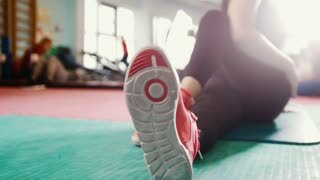 Young slim woman exercising at gym. 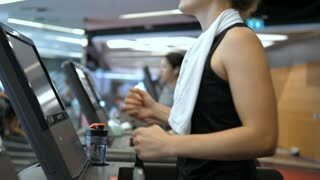 Pretty girl runs on machine at modern fitness club. Be in shape.